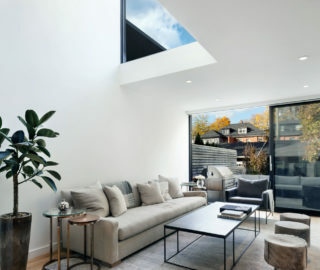 House of Louis, a recent North Toronto renovation by local firm Asquith Architects, isn’t named for its owner. It isn’t named after their kids, either. 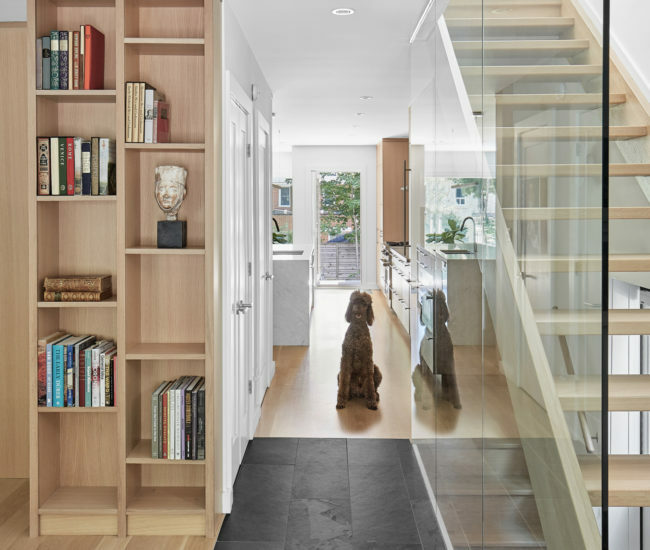 Rather, it’s a reference to a stately standard poodle who features prominently in the project’s architectural photographs. But more on that in a sec. 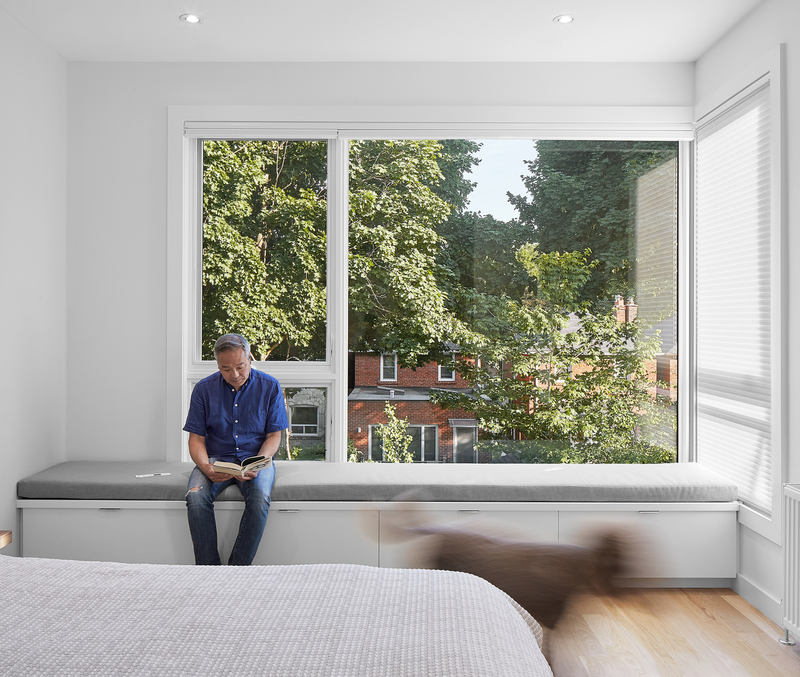 Louis’ starring role in the architectural photos isn’t simply a whimsical touch (though more project photos should include pups along with blurry passersby, if you ask us). 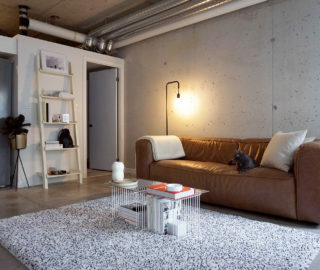 Rather, House of Louis is a renovation for an empty-nest couple – the kids have launched, but the family pet remains. And as the duo readied for their next life phase, they required a house that matched their lifestyle. 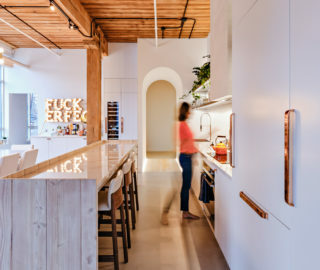 Many empty nesters choose to downsize, but House of Louis’ inhabitants wanted to stay put: along with owning a two-storey Edwardian on a 25-by-100 lot, the couple also felt deep connections to the neighbourhood. 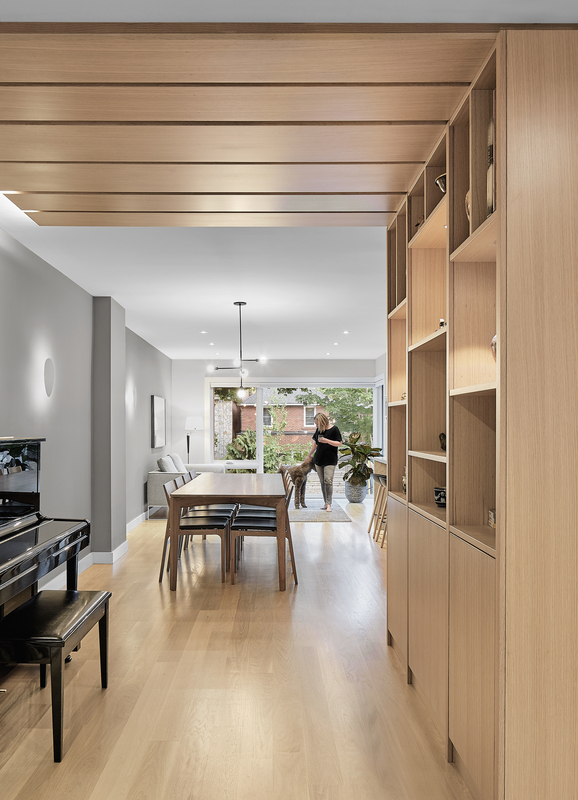 Their three adult sons had moved out, so they wanted to spread their wings – and wanted a more open-concept layout than the existing space, divided into smaller principal rooms, afforded. At the same time, they wanted to maintain a “family hub,” a place that would welcome their kids and grandkids. 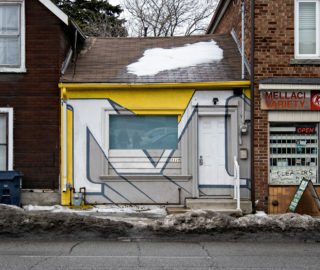 So it tasked Heather Asquith, Asquith Architects’ founder and namesake, with the job. 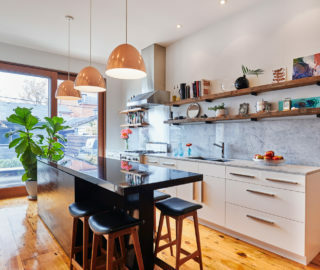 “I think there is a certain freedom in re-thinking your house after raising a family,” she says. 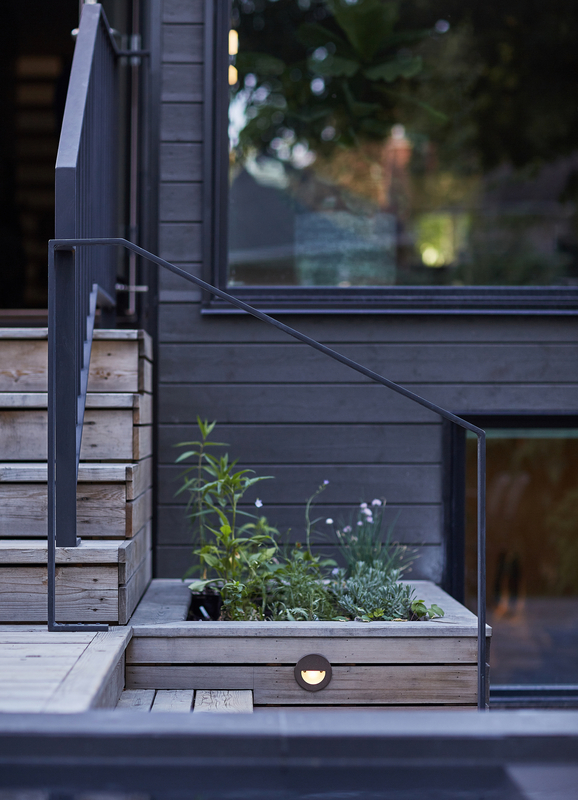 The volume’s shape also creates space for a small deck, which houses a barbecue, before descending onto a landscaped patio. 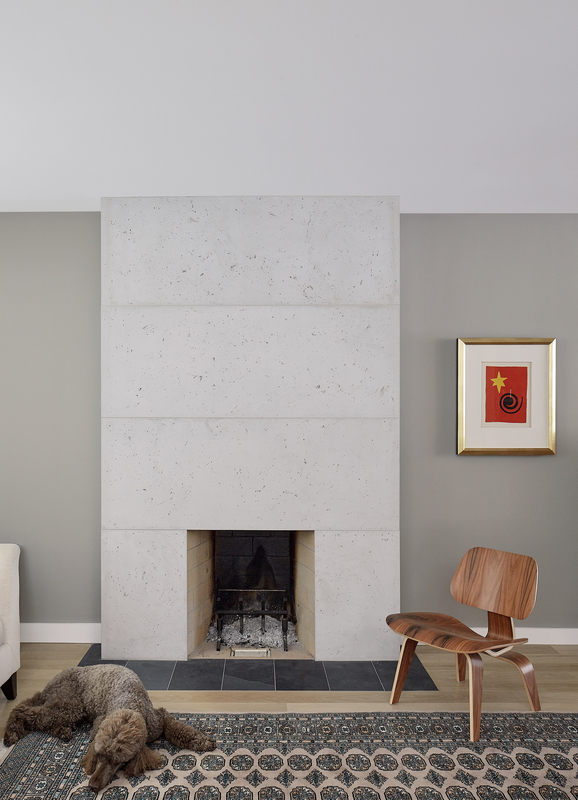 On the ground floor, the contemporary volume allowed Asquith to add an open-concept kitchen / dining area. 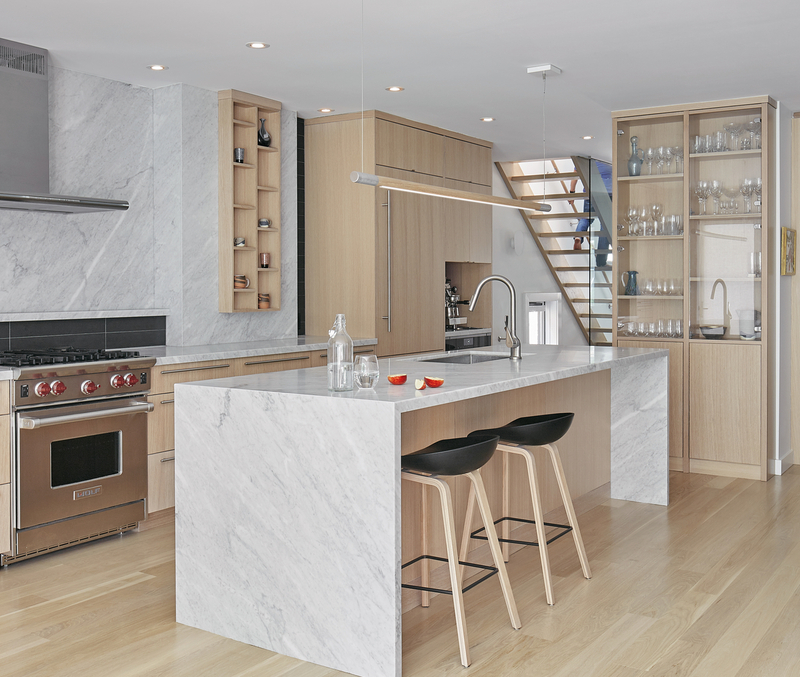 Here, bright, light and pure is the name of the game: the first thing visitors notice is the Carrara marble, which is showcased on countertops and the kitchen backsplash, and custom-stained white oak flooring. 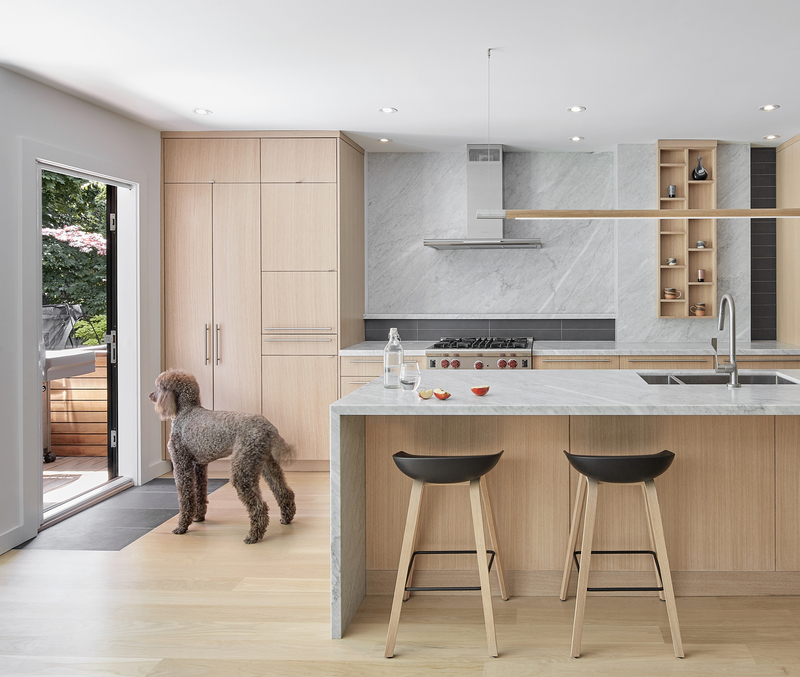 To keep things uncluttered – and to ensure that eyes stay on that gorgeous marble – the Edwards & Wilson cabinetry features concealed shelves for small appliances. 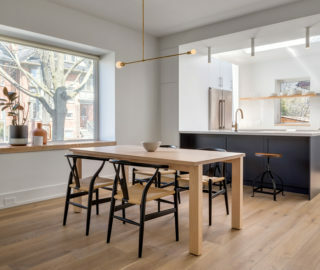 The kitchen / dining area is completed with thoughtful touches, including a concealed Miele fridge, Hollis & Morris‘ Bennington pendant suspended over the island, a dining table set by Kastella, tucked-away stools by Hay and a stunning light fixture by Lambert & Fils. Pipe chases and duct runs are also artfully concealed in a custom cabinet, which incorporates a bookshelf, recessed lighting and adjustable shelving; it also delineates living and dining areas. 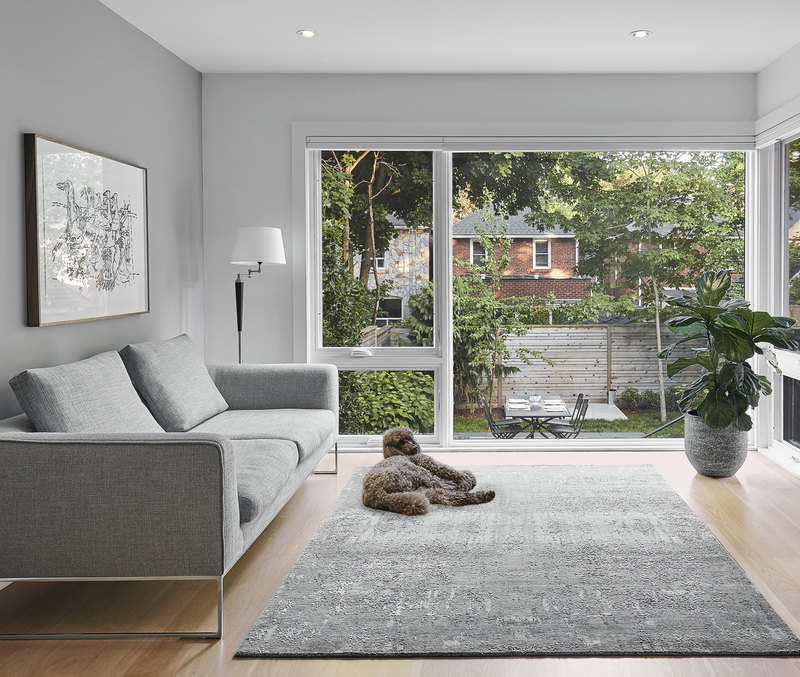 And while Asquith didn’t design any pup-centric features into the renovation, she says that Louis loves lounging in the south-facing master bedroom window. It makes sense: it offers a birds-eye view of the surrounding canopy and the squirrels within. Get ’em, Louis.